2. 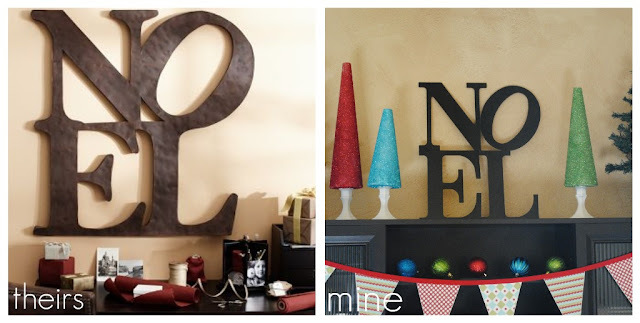 Position your letters as the picture shows, then use your hot glue gun to piece the letters together. I just put a dab between the joints. It will be a little flimsy, but we'll fix that in the next step. That is great! Thanks for sharing! Love it! Your mantle looks amazing! I think we need a craft day at your house! I LOVE it!! So creative! 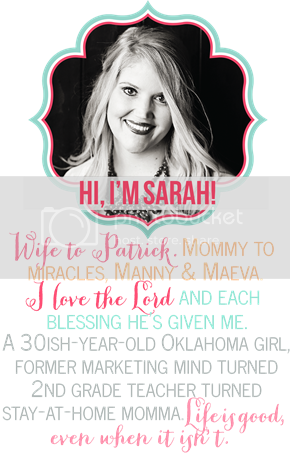 Love it Sarah! It is perfect! wow! im so impressed. It looks awesome!! i used one of those same letters this week: V for our last name covered in a decorative scrapbook paper sheet and mod podge- love it! I like yours way better for that price!! Oh, I LOVE this! So crafty and cute! I am definitely going to try this! Thanks for sharing! Love it! You are just so darn crafty and I'm very glad that you share your creations with us. I will have to try this project out for sure. Hello new project! LOVE LOVE. Fantastic job! Love this, and I'm already thinking of doing it bigger via cardboard. Thank you, Sarah! Oh! I am doing this! I love it! You are so crafty!! I wish we lived in the same town (or state) so I could do projects with you!! LOVE!! We just got our first Hobby Lobby in Orlando so this gives me the perfect reason to go. I have no idea where I have room for this in my house, but I'll find somewhere. Wow, you are amazing!! Love it! I love this! It looks great! I might try it too! My father in law made me one and I love it. Had I seen this first, I would have tried to make my own, but I am happy to have one none the less! i LOVE it and how simple and fun to make!! FABULOUS IDEA! I love so much in PB but somethings look so simple and I just cant justify paying the price! Great job!! This is the best idea ever! Thanks for including your step-by-step instructions (with pictures). I think I'll head to Hobby Lobby this week. Love it! I've long thought of making one of these signs- way to go!! So easy! Love it!!!! I might just have to steal this idea - We hung our Christmas DIY bunting up yesterday!!! That looks fantastic! You did an amazing job. Looks GREAT!! I can't believe how similar it is. looks great! i actually just bought letters to do this so happy to see it works!! That is so great! I might have to do that with other words too. Thanks for the inspiration! I'm actually in the middle of spray painting right now. Can't wait to see the finished product! I'd love for you to link this to my Knock-Off Party! I love the rest of your display, too. I bought letters today to make this with the word "HOME". This is great! Thanks so much for the tutorial! I don't ever remember saying this to anyone.....I like yours better than pottery barn!! !